Holy basil this year in our garden, I can hardly see the neighbours property through all the basil that has grown. Not really, (that’s my sad attempt at humour today) but it all brings me joy. Just when you thought you wouldn’t have enough, your seeds start sprouting and you have an abundance of green aromatic beauty before you. That’s how I feel after growing basil this year in the planters that I built with leftover wood from building our deck. Over the years we have grown basil in the ground, in stand up pots but we’ve had much more success in the flat wide pots that we continue to use them year after year. Planting basil is not difficult, but if you want to grow basil you have to start early and get your seeds in the soil so they have ample time to grow over the summer. I spent the morning today making a frugal basil pesto. I call it frugal because it doesn’t contain pine nuts or walnuts both of which cost a fortune but we don’t miss that at all. A small jar of basil pesto like in the photo above can run you about $3.99 at the grocery store unless you find it on sale for $1.88. The best is fresh from the garden, organic herbs at their best peak flavours. Just tasting it made me want to boil up some hot pasta so I could mix it in and eat it all up, but I’ll hold off until tonight because we have ricotta cheese I’m going to mix in as well. Learning how to be frugal with money doesn’t mean you have to compromise on eating good food. If you recall last year I did a post about how I created my basil garlic cubes by freezing the purée in muffin tins and I’ll do that again this year. It’s a great way to have summer fresh flavours all year-long. You can see from the picture how vibrant the colour is, but I’ll tell you for the amount I made this morning, you need lots of basil. It’s a good thing I grew more than we thought we would need because I will use it all up. I managed to make 2 small jars of basil pesto and then I also made 6 basil cubes in my muffin tin. I’m hoping over the course of the summer I can keep on making the basil cubes so we can store them in the freezer for the winter. If you want to learn how to make basil pesto, it’s not hard at all. This morning all I did was peel about 10- 12 cloves of garlic, 10 cups of fresh basil (or more depending on how much basil flavour you want), juice of 1 lime, 1 cup of fresh parsley, salt, pepper, 1/2 cup extra virgin olive oil (depending on how much basil you add). The idea is to taste it along the way for flavour balance and create a sauce texture, it’s easy. I whizzed it up in the food processor and it turned out lovely. Now, sometimes I add in parmigiano-regianno cheese which you can do and if you have the cash you can splurge and use the pine nuts and walnuts like I mentioned above. If you want to make your fresh basil sweet add some sugar or honey to sweeten it up which I’ve done and combined it with a vanilla yogurt to use on bbq meat or I’ve even made salad dressings. Sometimes the aroma of the basil plant is so alluring that I nip off a basil leaf and eat it right there. Although it is bitter if your basil plant is a sweet basil you may find you taste a hint of sweetness. I’ve never harvested basil seeds but I’d like to this year so I can plant basil next year instead of getting my seeds at the dollar store. I’m not sure what the process is of harvesting basil seeds but I’m sure it can’t be all that difficult. There are so many types of basil that I’ve come across and although I’d love to have them all I just don’t have the space. Some of the basil plants I’ve had are chocolate basil, lemon basil, Thai basil, Italian basil, sweet basil etc. There are so many things you can do with basil that you can never have too much basil. So if you want to make your own, you better get basil planting because before you know it summer will be over. Do you grow your own basil? What kinds of basil do you like? When we got home from Canada Day long weekend we had a huge pot of cherries that we picked from the cherry trees. This week I decided to make a Cherry Ricotta Cheese Danish of sorts which meant I had to create a cherry pie filling. The cherry pie filling is so easy to make. If you know how to make homemade custard or if you make jam or jelly like we do, you can make pie filling with fruit. I’m not really sure if I can call it a Danish as I made a simple pie crust but I’ll come up with a name for it sooner or later. I can’t wait to show you the photos so make sure to check back on July 21 for that recipe. The parsley has been going nuts as well, which is a good thing because we use lots of parsley in our meals and dips to jazz up the colour and the flavour. Last year we had the Italian parsley but all we could find was curly parsley seeds at the dollar store so we went with that. You can now follow Canadian Budget Binder via Bloglovin and continue to get my daily posts in this reader. If you are a regular reader you would have already received these awesome posts in your email or reader but just in case you missed reading one I’ve put them all together here just for you. PLUS…. check out the NEW FEATURE I’ve added which is my New Free Recipe Index! You get all the recipes that I have posted here at Canadian Budget Binder in one spot so you don’t have to go looking for them. Jen and her husband have made many improvements to their shopping habits and their budget. 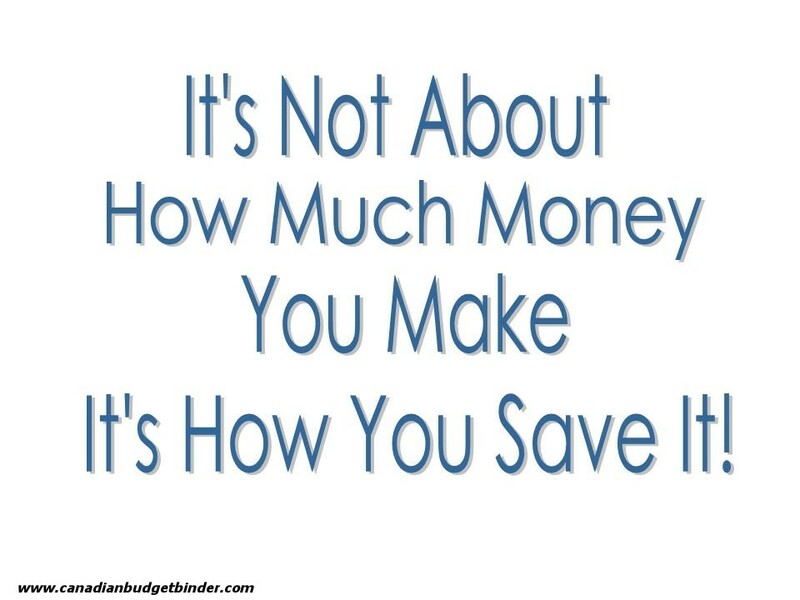 You can read all about it in her guest post, Budgeting With Mr. CBB Got Us Back On Track. Jen shares her weekly garage sale finds with us for the summer to show just how much she can save for her family. Britax car seat $1.00 -Yes that’s $1!!! What an amazing price! These car seats retail for $199.99. This one is only one year old and expires in 2017. It is in like new condition and Britax is one of the best name brands for car seats. The man just really wanted his garage cleaned out. He also charged people $1 for other things while I was there like a coffee table and two wooden chairs. He sold a nice bbq for $5! I like these kinds of garage sales. Awesome deals this week Jen and just like I pointed out last week you can go garage sailing with no money and you’ve proven that again today with some free items. Well done, enjoy that car seat. This section is about sharing other personal finance blogs around the web that are making a difference to others. Each week I will feature a blog that I feel is making a difference and that I think all of my fans should visit. Today, I introduce to you my good friend Joe from Stacking Benjamins. Hi, CBB readers! I’m Joe Saul-Sehy (often referred to as “Average Joe” from my early blogging anonymous days). Besides being the husband of an awesome spouse, father to two above-average kids (despite having me as a parent…. ), and owner of one cat (not my idea), I also operate a blog and podcast both called Stacking Benjamins Some bragging: the podcast is currently rated in the top 30 podcasts in the business section of iTunes and the top 10 in the investing section. It isn’t your traditional investing podcast. There’s no running around yelling, we don’t point fingers or act condescending. The podcast is live from my parent’s basement, we have contributors from all over North America, and it’s plain-and-simple a variety show aimed as much toward beginners and entertainment than hard, boring investing topics. How do I make a difference? Hmmm….I was a financial advisor for 16 years, helping families figure out their budget, sock money away, decide which insurances were a waste of time and which they should consider, and plan milestones toward their future. I try to use the hacks and quick tips I learned to help readers and listeners. While I say that I messed up, it wasn’t all bad. I built and sold a business for a big six figure number by the time I was 41. I’ve counselled other business owners and families toward some giant financial successes. I was the “Money Man” on Detroit ABC television for nine years. Now I’m at the next crossroads: my twins just turned 18 and are off to college. My son will attend the University of Texas in Electrical Engineering and my daughter is going to run track for the Arkansas Razorback while in the Honours Biology/Pre-med program. I have no other children, so Cheryl and I are going to go from a family of four to empty nesters here in the next few weeks. That’s going to be a big life change! I really appreciate when other blog owners recognize my hard work at Canadian Budget Binder and share my posts with their fans. Here are the blogs that did just that this past week, so please head over and check them out. Some fans have asked me just what a blog carnival is so a little explanation is due here for anyone reading for the first time or for my long-time fans. A blog carnival is where a blog or website hosts what we call a carnival of blog posts from around the web. Most blog carnivals have a theme and certain rules for submitting which must be followed. If you are a blogger and would like to learn what blog carnival directories I submit to each week you can find the information in a previous Saturday Weekend Review post that I wrote. What are Google keyword search terms? 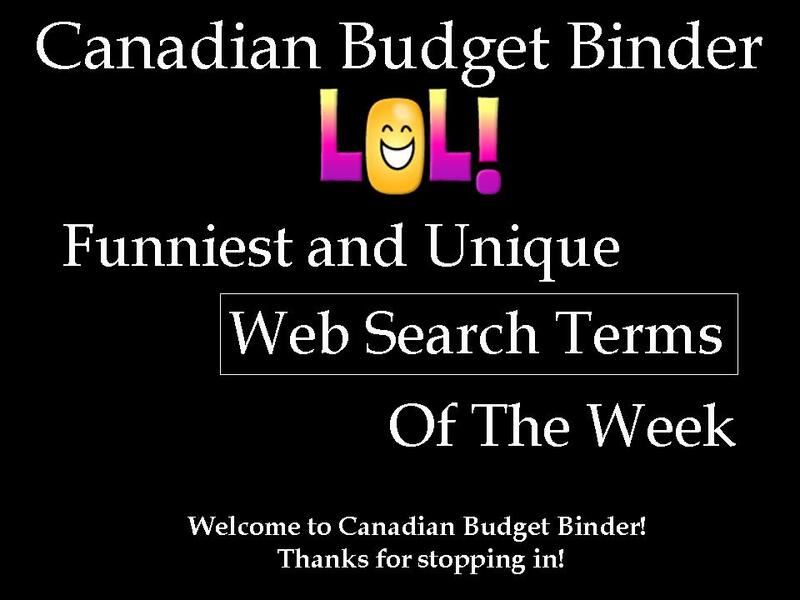 Keywords for search engines help me to understand what people are looking for at Canadian Budget Binder. Although I get thousands of keyword searches from Google users that come in each week I pick out a few that catch my eye and make me smile. Top pick- How to get out of Drug Debt- I think I have a new blog post coming up around the corner. If you are in drug debt and want to contribute your tips and advice to other drug users that are up to their eyeballs in debt, by all means contact me today. Books about fresh spring rolls- You know you have an addiction.. .when! I got lots of OSAP- That’s nothing to be excited about, don’t spend it all in one spot if I were you. It’s not free money. Skype Heaven– I can’t believe how many people keep trying, folks, it won’t work. Plus! Don’t forget to Subscribe to the blog so you get my daily email. I think I’ve mentioned before my LOVE of pesto. I cannot though for the life of me grow basil. It dies so quickly. I’m jealous yours it growing in abundance. It’s so fragrant as well. I’ve made homemade pesto but never without using some kind of nut. I agree that can send it over the edge expense wise. Ya you can toss in nuts for sure, I’ve done it many times but if you want to make poor mans pesto this works just as well. I love basil, I could rub it all over my body … think the women would dig it? lol.. I’m surprised you can’t grow it where you live since it’s so warm. You had me at “10-12 cloves of garlic. Sure, Cheryl won’t kiss me for a few days, but neither will vampires…. Thank you for featuring me in your “Make a Difference” section! I certainly hope I’m making a difference every post I write….. I must of had myself as well since I forgot to add the basil to the recipe haha.. It wasn’t until a fan commented asking me where the basil was lol. Bloody hell, that’s why I’m not a chef. NO worries, only the best for # MAD…. Oh the lime basil sounds awesome. Where did you buy that? I’ve never heard of it. I read a post today on the proper ways to harvest basil and so far I’m doing it right. I must admit that I’ve never been a big fan of basil. But, since you are growing it, I’d thought I’d do a google search of the health benefits. I was amazed to learn it conains flavnoids which lowers cholesterol (according to the box my Lipton tea comes in), it protects against unwanted bacterial growth, and it even inhibits several species of pathogenic bacteria that have become resistant to commonly used antibiotic drugs, just to mention a few benefits. I’m a convert. I’m going to start using basil too! Terry, I love basil, it’s so aromatic and just adds so much flavour to dishes. I don’t know any chef that would not like it. Thanks for the tidbits of info, that’s awesome. I always love to learn and educate. Thanks for the mention! Keep up the great work. I love basil. We didn’t grow any this year because we are dealing with the weed problem right now, but it’s on our list of things to plant next year. And pesto.. yum! Ya weeds, don’t remind me but I”m putting all new sod in the front as our back is perfect. I might have a problem making the pesto…. I only have one plant this year!!!! I wanted to see how it grew for future reference…. Now I know!!! Lol!!! Jen did quite well at the garage sale!!!! That baby seat was a steal!!!! Wow!!! Another site for me to check out as soon as I find the time with the laptop… And lets not forget my weekly chuckles….. AKA the search terms!!! Have a good weekend!!! yes you need loads of basil and it’s worth it Christine. Just load up some planters like I did with a few packets of seeds each and take good care of it with water (rain water if you can) and you can can pesto for all winter long. Yes Jen got a great deal on that car seat, even though I know nothing about them. where is the basil in this recipe??? Hey, no one is perfect! Thanks for letting me know betske! I’ve added it in now. Have a great weekend.